The recent image shows the same view. The photograph was taken from a gas station parking lot. There are boulders lining the parking lot. 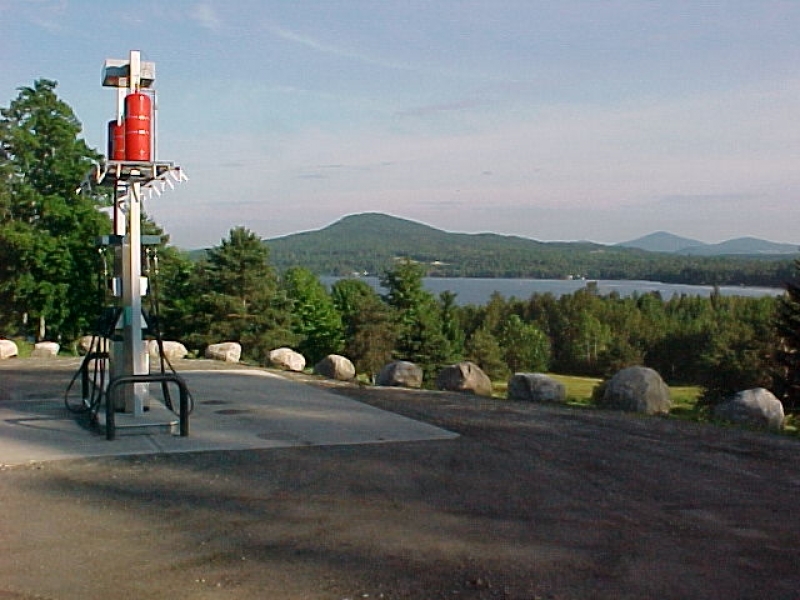 A gas pump is visible on the left side of the image. The land around the lake has almost completely reforested, including Elan Hill. Esther Munroe Swift writes on 2005-2-27: On either side of the southern tip of Seymour Lake are two 2,100 foot high peaks: Bear Hill and Elan Hill. The former is said to have it name because a bear had been spotted there before the town was settled.The latter had its name from Elan Wilcox a relative of the first settlers. 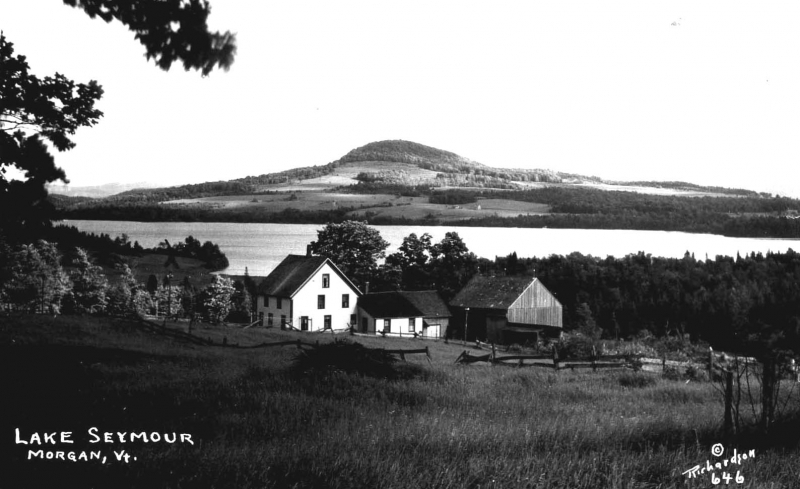 Wilcox Hill on the northern border also has its name from the same family. Cargill Hill is named for Ithiel Cargill who was the first to settle on the east side of Seymour Lake.